Just published is an absorbing new book which brings together some of the biggest names in music to talk about their First Time. 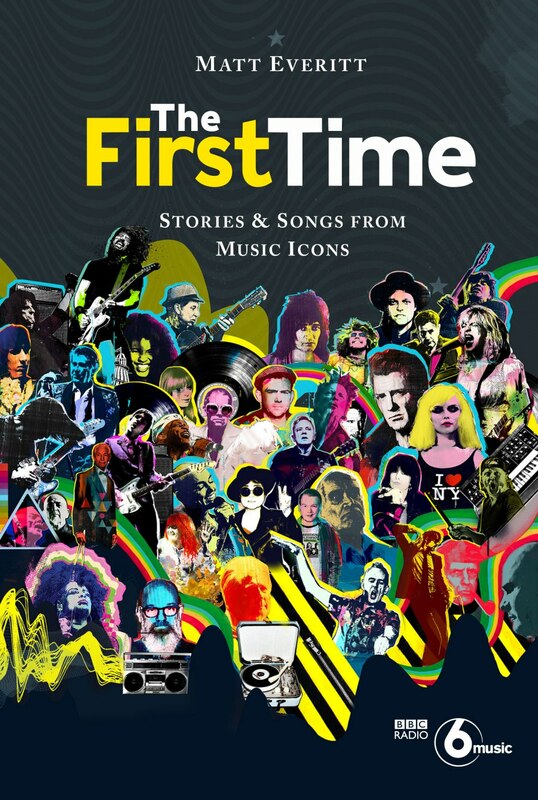 Using transcripts of interviews conducted by him over a number of years for his BBC Radio 6 Music show, Matt Everitt's book, "The First Time: Stories & Songs from Music Icons", reveals things like the subject's first gig, first record, and such like. With a diverse list of interviewees as David Gilmour, Alice Cooper, John Lydon, Charlie Watts, Rod Stewart, Paul Simon, Elton John, Lars Ulrich, Michael Stipe, Brian Wilson and Jarvis Cocker, there are some dramatically different responses, and some very interesting insights. Some of the subject's "firsts" are endearingly cheesy or embarrassing, yet others have rather cool experiences they relate. The reality for most people, of course, if they are honest, is that their first gig, record or whatever can tend to be a little difficult to reveal to others! In the introduction, Matt has the tables turned and is interviewed by Norman Cook (Fatboy Slim) who reveals his first gig was U2 in 1987, whereas Norman's was none other than The Wombles! Each chapter starts with an introduction by Matt about his memories of meeting the subject, accompanied by newly created collage artwork and finishes with a Spotify link that will lead readers straight to the bespoke playlist of songs that are discussed in the interviews. The book compiles 40 interviews, and each reveal some great insights into the artist. David Gilmour's interview takes a look at his earliest experiences of music - hearing, seeing and playing. He also touches on his early rehearsals with Pink Floyd, including the legendary "Have You Got It Yet?" that Syd was trying to get the rest of the band to learn... He reflects on Dark Side (coming out just five years after he joined the band) and life after the band. He also talks about his feelings about the late Richard Wright. For anyone interested in music, and the influences that shaped the musicians and their sounds, the book is definitely worth checking out. As with all interviews, some subjects are more guarded than others, but nonetheless, their reticence or "political" answers can prove subtly revealing too. Should you wish to add this to your Floydian bookshelves, please use these direct links: Amazon UK, Amazon.com, Amazon Canada, Amazon France, Amazon Germany, Amazon Spain and Amazon Italy. Using our Amazon links also helps us hugely with ongoing site running costs and we really appreciate it!